While discrimination by colleges is hardly a new controversy, a series of legal cases in the past several years have put the current system under increased scrutiny. A federal suit filed in Massachusetts last month alleges that Harvard employs “racially and ethnically discriminatory policies” when evaluating undergraduate applicants. The plaintiff, Students for Fair Admissions—an Austin, Texas-based nonprofit—claims that the university’s practices violateTitle VI of the 1964 Civil Rights Act. 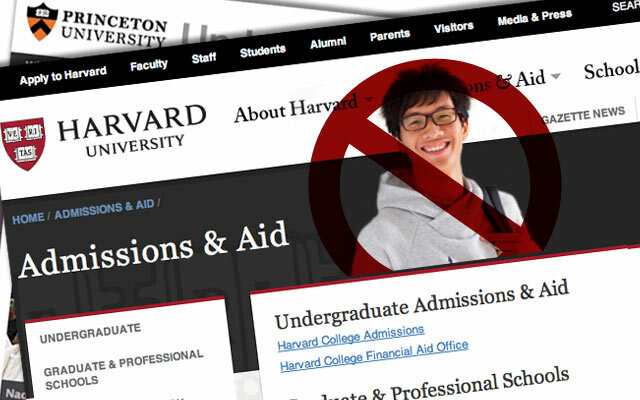 This provision prohibits recipients of federal funding—which include virtually all higher-education institutions—from discriminating on the basis of “race, color, and national origin.” Students for Fair Admissions is demanding that Harvard formally acknowledge it’s used such policies and promise to eliminate them. It remains to be seen whether Students for Fair Admissions—which also filed a similar suit against the University of North Carolina at Chapel Hill last month—will have its day in court. Yet, the complaints against these schools illustrate an ongoing debate over the fairness of “holistic admissions,” the process by which higher-ed institutions evaluate applicants as unique individuals rather than as numbers on a page. It’s not just grades and test scores that colleges care about these days; it’s extracurricular involvement, leadership, volunteer work, socioeconomic background—and race. Under this system, highly qualified applicants are routinely rejected and never given an explanation as to why. For rejected applicants of Asian descent, race often appears to be a key factor. But there’s no way they can know for sure; most college officials avoid acknowledging discrimination, simply praising diversity as a virtue instead. The Harvard complaint notes that Asian Americans comprised more than 27 percent of applicants at the three most selective Ivy League colleges between 2008 and 2012 but represented only 17 percent to 20 percent of their admitted students over the same period. That discrepancy is especially noteworthy considering, according to the complaint, Asian Americans made up roughly 46 percent of applicants in 2008 “with academic credentials in the range from which Harvard admits the overwhelming majority of students.” That threshold was defined as an SAT score higher than 2200, out of 2400 total points. Anna Cowenhoven, a spokeswoman for Harvard, added that the school will respond to the litigation, which is currently pending. Samson isn’t the only person to have analyzed how Asian Americans are perceived in higher education. A well-known book published in 2009—No Longer Separate, Not Yet Equal—suggested that students who self-identified as Asian would need about 140 points more on the SAT than their white peers would need to get into elite, private schools. That number jumped to 320 and 450 when Asians were compared to Hispanic and African-American students, respectively. These perceptions can have negative consequences. One is the “model-minority” stereotype, which undercuts grievances Asian Americans may have against discrimination. Another is that the fear of self-identifying as Asian has in some cases even been correlated with poorer mental health. In separate studies, Asians lacking strong ethnic identities reported lower self-esteem and higher stress, tended to have worse academic achievement, and rated lower scores of acceptance and self-actualization. Such effects undermine the model-minority image. Of course, not all cases of discrimination are the same. The Harvard complaint centers on an unnamed applicant who scored perfectly on standardized tests and was an AP Scholar, among other laurels. The applicant was the captain of the varsity tennis team, a volunteer fundraiser for National Public Radio, and a peer tutor. According to the complaint, the student has since enrolled at another high-ranking university—one that “does not grant admissions preference on the basis of race or ethnicity,” a policy that appears to be the exception rather than the rule. Harvard isn’t the only school that’s been singled out for potential discrimination against students of Asian descent. A similar claim made against Princeton in 2011 prompted a federal Department of Education investigation into whether the school had discriminated against an Indian-American applicant by denying him admission. The case, which the department’s Office of Civil Rights couldn’t elaborate on because it’s still ongoing, follows a separate civil rights complaint from 2006 in which a Chinese-American student accused the school of employing the same practices. The 2006 grievance prompted the education department to conduct an across-the-board review of whether Princeton discriminates against Asians. Martin Mbugua, the spokesman for Princeton, said in an email that the school does not discriminate on the basis of race or national origin. He added that admissions decisions are made on a case-by-case basis, and that “there is no formula for weighing the various aspects of an application.” Enrollment datashows that Princeton’s percentage of Asian-American undergraduates has steadily increased since 2010, from 16.9 percent to 20.8 percent in 2014. So, should race matter in higher education? That’s a fraught question which will take years to answer—legally, socially, and morally. But if these recent complaints hold water, they could serve as further evidence of what author Jane Hyun called the “bamboo ceiling“: The many challenges Asians face in the business and social sectors, from implicit bias to overt racism. These challenges have a bearing on K-12 schools, too, suggesting that the the bamboo ceiling may be even lower than once thought. Stuyvesant, one of New York City’s nine specialized public high schools, doesn’t consider race in its admissions process; students only need take a standardized test to apply. Still, the policy has come under fire because of the student demographics that result:73 percent of ‘Stuy’s’ current students are Asian, while 22 percent are white. Just 2 percent of the school’s population are Hispanic, and 1 percent is black. Upon graduating, many of them move on to top-tier schools. But certain “selling points” of colleges, such as geographic and ethnic diversity, can actually make Stuy students more nervous than charmed, said Casey J. Pedrick, Stuyvesant’s director of college counseling. In Boston? 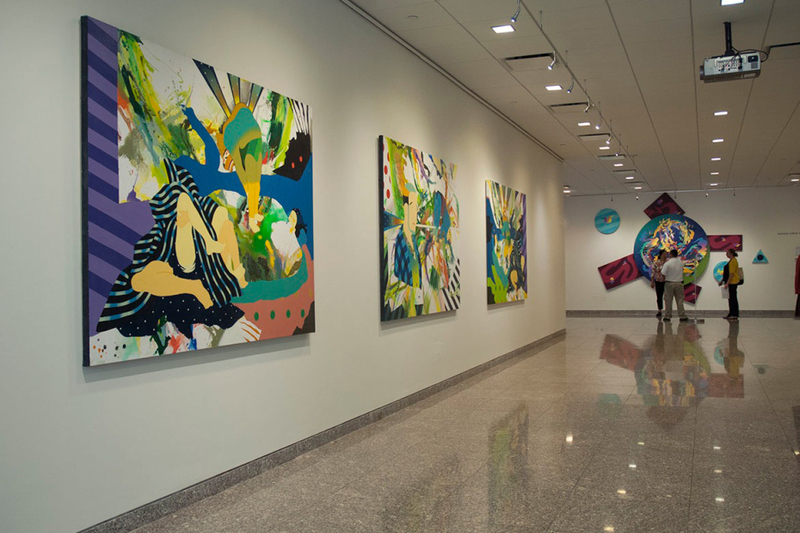 Brooklyn based artist Tomokazu Matsuyama recently opened a new exhibition in the Reischauer Institute at Harvard University for its 40th anniversary. This sparkling showcase features classic and fresh paintings for those in the Boston area. This great show runs until November 1st and the artist reception with Matsu in attendance on September 26th. Be sure to check it out if you’re lucky enough to be in the area. 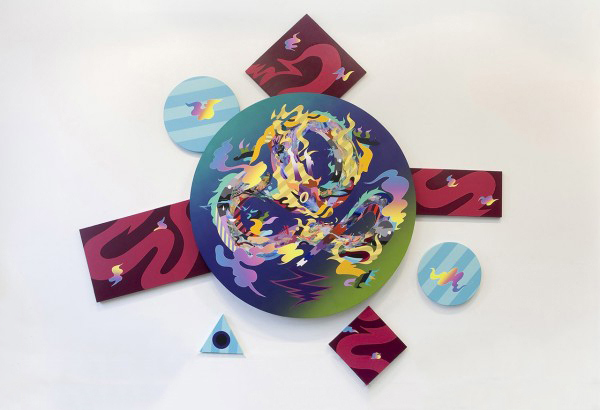 Tomokazu Matsuyama is known to combine modern artistic styles with traditional Japanese context, amalgamating East and West in unique renditions filled with mystical sensibility. Growing up in both Japan and the US, Matsu’s aesthetics is endearing to both cultures, merging the juxtaposition with acute color palettes and lively illustrations.